Chiropractic care uses drug-free, non-surgical techniques to relieve pain and increase joint mobility for those who suffer from neuromuscular conditions such as back pain, neck pain and headaches. Dr. Nguyen utilizes appropriate diagnostic procedures and conservative therapeutic interventions, with a primary focus on spinal adjustments. Other treatment modalities utilized are myofascial release, hydromassage, ultrasound, motor nerve stimulation, therapeutic exercises/stretches and ice/heat. Chiropractic care is very therapeutic even if you do not have an injury or chronic condition. Chiropractic is helpful for the relief of the effects of stress (headaches, muscle tension in the mid-back and shoulders, low back pain). Chiropractic also has the additional benefit in that the doctor actually places his/her hands on the patient, which in turn adds to the therapeutic and healing quality of care. These problems cause irritation to the nerves, which can disrupt the communication between the brain (Central Nervous System) and the body. A Chiropractor helps restore normal function to the body with chiropractic adjustments. Because the adjustments help restore the function of the nervous system, it can have a profound effect to your overall health. 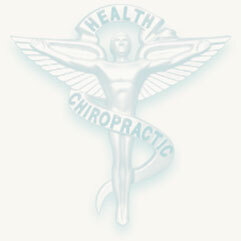 A chiropractic adjustment involves a precise force that helps add motion to a joint that is not moving properly. The number of adjustments varies with each patient. Most patients sense progress within a week or two of frequent visits. However, since some chronic conditions did not develop overnight, the discomfort cannot disappear overnight. One must be patient. © Neighborhood Chiropractic. All Rights Reserved.